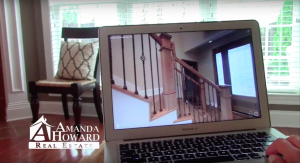 Amanda Howard Real Estate provides 3D Technology to market your home! There are plenty of techniques to market your home, but in today’s competitive markets, you simply can’t just focus on open houses and MLS listings. Imagine being able to view any portion of a home in a three-dimensional layout. 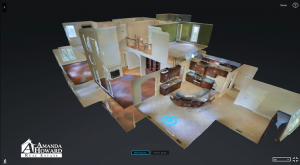 Our team at Amanda Howard Real Estate is proud to offer our 3D imaging technology! 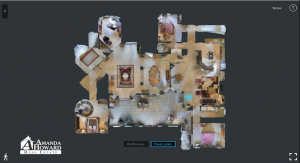 This method allows us to digitally scan and capture a home, presenting it to the market in a way you’ve never seen before. What Are the Benefits of 3D Modeling Technology? As a seller, you’ll provide potential homebuyers with the opportunity to view your listing from all angles. They will see the true size of a room or visualize how the property layout really flows. This helps to create that instant engagement that you are looking for when selling your home. As a homebuyer, you are free to view these online listings anywhere and anytime, at your convenience! Optimize your home search from your iPad, phone or computer. Potential buyers are instantly placed inside a room with the ability to maneuver 360 degrees and virtually walk through a listing. This helps homebuyers see details and features they typically would not find with still images. At Amanda Howard Real Estate, we are extremely proud of the homes we sell and will use as many avenues possible to showcase them to the world! The majority of homebuyers start their search online and this is an amazing tool for you to be able to take advantage of when it comes to selling or purchasing your home. Give us a call today, we are excited to put this new advanced 3D technology to work for you! You can reach us at 256-799-9000.